The Feldküche als Anhänger (1 achs.) - army field kitchen as trailer (one axled) - (Sd. Ah. 401) belonged to the equipment of the Luftwaffe. It was intended for supply units up to strength of 170 men. 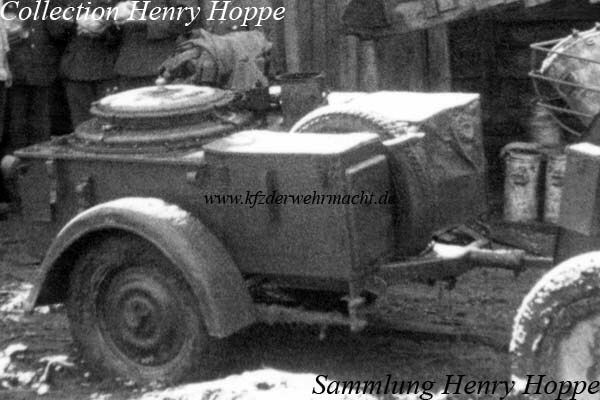 There was a variant with all steel wheels for the use loaded on vehicles. This Feldküche als Anhänger (1 achs.) (Sd. Ah. 401) corresponds exactly to the image in L.Dv.T. 981. Two bins could be tied down to the round storage spaces. 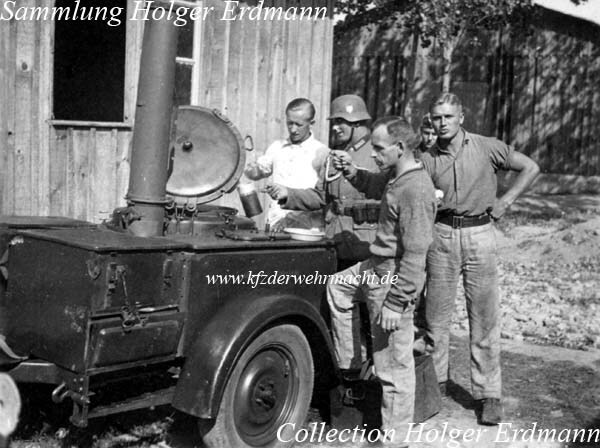 On this field kitchen, the storage boxes were smaller so that a spare wheel could be stored between them. It could not be clarified if this is a military or civilian variant of the Feldküche (Sd. Ah. 401).